You may remember my sister Cindy from the Caring for Mother at Home blogs, but if you don’t, allow me to give you a brief summary. My sister owned a very successful material handling company for years, but she gave it up to care for our parents in their later years. The timing was right for my sister and our parents certainly needed her. Along the way, Cindy gained much knowledge while being a caregiver for our parents, and I would like to share another insight of hers. 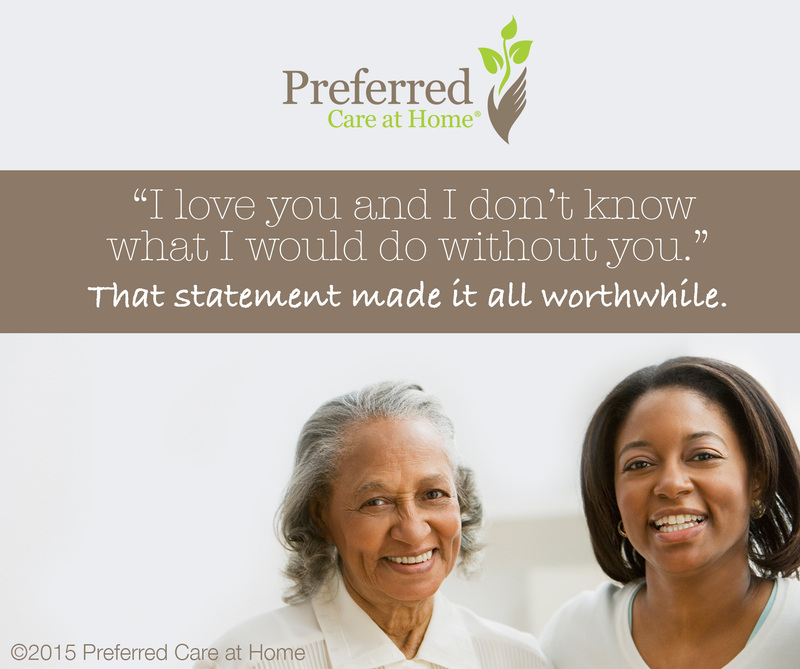 Hopefully, these simple tips can help you as you care for your loved one. The topic I wanted to discuss is your loved one and dementia. I believe as a caregiver and family member this was one of the hardest aspects for me to handle. It is extremely hard on me as the caregiver/daughter to realize that at times my Dad did not know who I was. It started as not being able to recall my name and at times progressed to not knowing who I was or who other family members were that came to visit. In my father’s case he would go in and out of reasoning. There were long periods of times he was quite lucid and then would slip back into his ‘world’. One weekend my sister came for a visit and he held her hand and told her how happy he was to see her. On the next visit, a few weeks later, he did not know who she was but happened to regain some of his memory before she left which pleased her greatly. I once made the comment to a friend of his who came to see him that he may not recognize them. Dad heard me and said, “I’m not crazy you know.” I learned it is very important to not discuss issues such as these within a patient’s hearing range. You can never know what things will get processed quickly in their mind. It is important not to take these comments to heart. Once when I was working on my Dad’s nails he got very impatient with the time it took and said that I was slow and stupid. My father was a very loving man and supportive of me and I knew he didn’t mean what he had said. As a caregiver, it was vital that I learned to put aside things said to me in my father’s moments of frustration. As a veteran of the war, he certainly learned curse words and bad language but never spoke this way until he started to develop dementia, again, I had to realize that this was a part of his disease process and not directed toward me. The hardest thing to handle for me as a caregiver and daughter was when he talked in a provocative manner to me. My sister once commented to me that she knew this behavior really upset me and made it difficult for me to care for him. She recommended that I talk to other caregivers about their experiences with this. They reassured me that this is often a common behavior in older men. One caregiver said it was a daily occurrence with some of the elderly men she cared for in nursing homes. I learned to set limits and tell him to stop speaking to me that way and at times that is all it would take to change his behavior. Overall it is important to realize you are doing a great service for your patient/loved one and to take pride in the care you provide. There were times on a very bad day I would feel stressed and Dad would look over at me and say, “I love you and I don’t know what I would do without you.” That statement made it all worthwhile. In closing, as you are learning to deal with the changes that dementia can bring, be patient with yourself, patient with your loved one, seek advice and answers to questions, and remember you are not in this alone.